"Hester shows that the spirituality of Pope Gregory the Great (c. 540-604) is that of a contemplative looking for Christ and finding him in the pain of this world. The coming judge who punishes is also the God who saves and he does so often through the very pain of human existence. Gregory's Christ is always the suffering servant and always the just judge of the final reckoning; dealing out both mercy and justice throughout the course of salvation history. In this contemplative union with Christ the pain of this life will make sense and in the last judgment the great mystery of the divine purpose will be revealed." --BOOK JACKET. Eschatology And Pain In St Gregory The G by Kevin Hester was published by Paternoster Press in January 2007 and is our 61844th best seller. 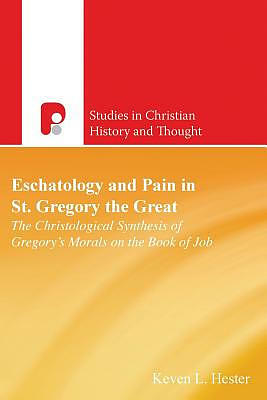 The ISBN for Eschatology And Pain In St Gregory The G is 9781842274378. Be the first to review Eschatology And Pain In St Gregory The G! Got a question? No problem! Just click here to ask us about Eschatology And Pain In St Gregory The G.